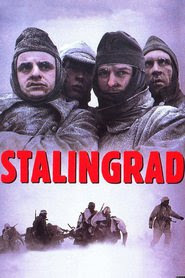 The topic of today's discussion is Stalingrad the 1993 film told from the German perspective. This movie provides many dramatic battle scenes in a gritty and realistic depiction of the Battle of Stalingrad. Although this is a German film it also provides a sympathetic view to the Soviet side of the battle. We are happy to be joined by our usual guest Mike Lembke and our special guest Renee Schiemann for this review. This film follows a unit of soldiers from their R&R in Italy to the streets, sewers, and outskirts of the Soviet city of Stalingrad. We may digress a bit from the central topic and hope that you do not mind hearing some spoilers along the way. In order to discover what this film is like you will need to give this episode a listen. If you do not prefer WWII material, never fear, we will soon delve into our second love, Fantasy films and novels. In the meantime, on to Stalingrad! We hope you are looking forward to the next episode of Spine and Sprocket.